Happy December! This fall sure is zipping by and I can’t believe it’s time for my favorites post once again. I’m excited to share some of my favorite things from the past month with you, ranging from clothing, accessories, and beauty items to home goods, multi-media picks, and food. Open style cardigans are both my favorite kind of clothes and accessories this month, since they really function as both. 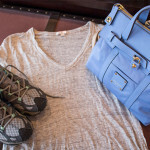 It’s the one item of clothing from my pre-pregnancy days that I can still fit in! These long flowy sweaters work well to frame my bump, cover my tush (since I’m living in leggings lately), and act as the perfect easy layering piece for my variable temperature states. 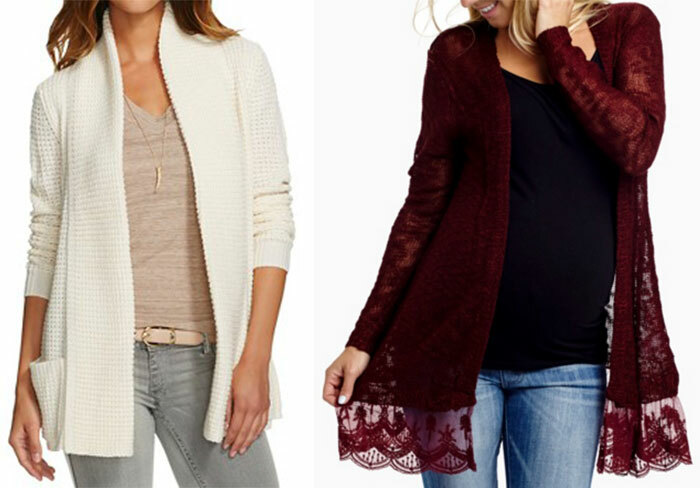 I recently shared two of my current favorites in a maternity haul, including a cream Merona Textured Cardigan from Target and the beautiful burgundy Lace Trim Knit Open Cardigan from PinkBlush Maternity. 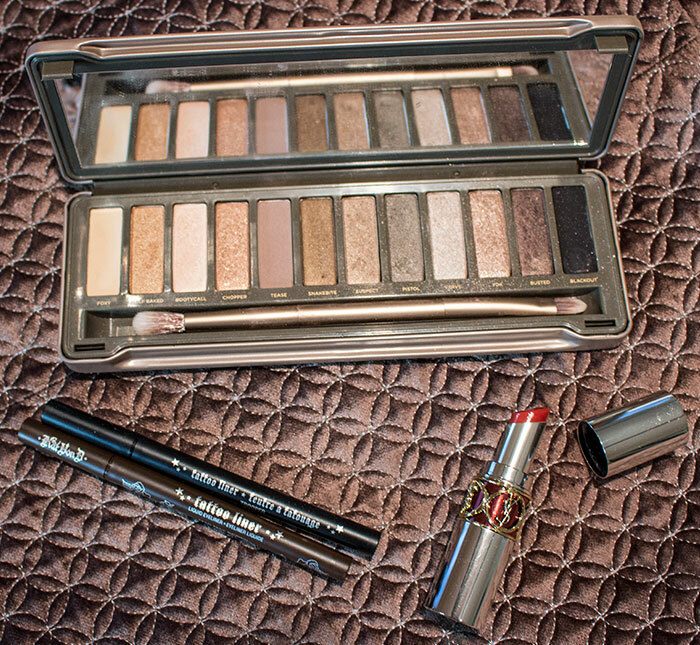 ❊ Urban Decay Naked 2 Palette – I seem to always find myself reaching for this palette in the fall. 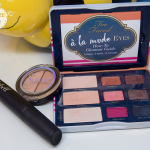 This gorgeous collection of cool-toned shades has been my go-to all month! I love how pigmented and easy to blend Urban Decay shadows are. ❊ Kat Von D Tattoo Liner – It’s official, I’m a tattoo liner convert just like most every other beauty gal on the internet! They give such a nicely pigmented, fine line that is easy to snuggle right up to the lash line and stays on all day without flaking. ❊ YSL Volute Sheer Candy in Sweet Fig – This beautiful tinted balm found a permanent home in my purse in November. I love the brownish berry tint that gives my lips just a touch of fall color in an easy to apply on-the-go formula that feels silky and hydrating. I can’t believe I haven’t shared about my deep and undying love for my vacuum until now! I purchased a Miele canister style vacuum five years ago after having gone through (and subsequently killed) two other name brand machines. Fed up with spending a pretty penny on an appliance that doesn’t last, I researched the most well-reviewed vacuums on the market and Miele was a clear winner. The prices are steep, but in my experience the cost was well worth it (and then some!) as the quality is unparalleled. They no longer sell the model I purchased (called the Terrane if you’re curious), but I can imagine the current models, which appear to have the same design and features, are just as awesome. It’s definitely worth the splurge for such a powerful and well made vacuum that continues to function just as it did when brand new years ago. My Miele vacuum is a year round favorite, but I was reminded to mention it after it did such a great job helping me clean up after Thanksgiving. ❊ Adele – 25 – It might not be fair to include something I’ve only had in my possession for the very end of the month, but Adele’s new album blew all of my other November music picks out of the water. That is one talented woman! Her music is magically familiar but new at the same time. She paints such a vivid picture with her lyrics and melodies. I can’t get enough! ❊ The Happiest Baby on the Block by Harvey Karp, MD – This book came highly recommended to me from my readers and also receives high marks from user reviews. Karp’s theories about the “fourth trimester” (baby’s first 3-4 months of life) make perfect sense to me and I appreciate his tips and tricks for the newborn stage. I like having these sorts of resources to fall back on and try to see what works for our baby once she arrives. ❊ Holiday Baking Championship – My husband, Don, watches quite a few programs on the Food Network and while I’m not usually a big fan, this holiday baking show is one of my absolute favorite things to watch during the holiday season. I absolutely loved last year’s competition and am just as excited about/obsessed over this year’s show as well. If you love baking and holiday festiveness, then I highly recommend checking it out! ❊ Talk Becky Talk – This British YouTuber popped up in my suggested feed not too long ago and I quickly subscribed after watching one of her videos. I love her chatty, down-to-earth style. She talks mostly about beauty and fashion, but also shares conversational style sit-down videos as well, which are some of my personal favorites. As the weather gets chilly, my hot chocolate consumption increases. There’s nothing quite as comforting to me as enjoying a hot cup of cocoa. Yum! I have two favorite varieties that I typically choose between depending on my mood. My favorite powdered option is the NibMor Drinking Chocolate, which I purchase at my local Whole Foods. 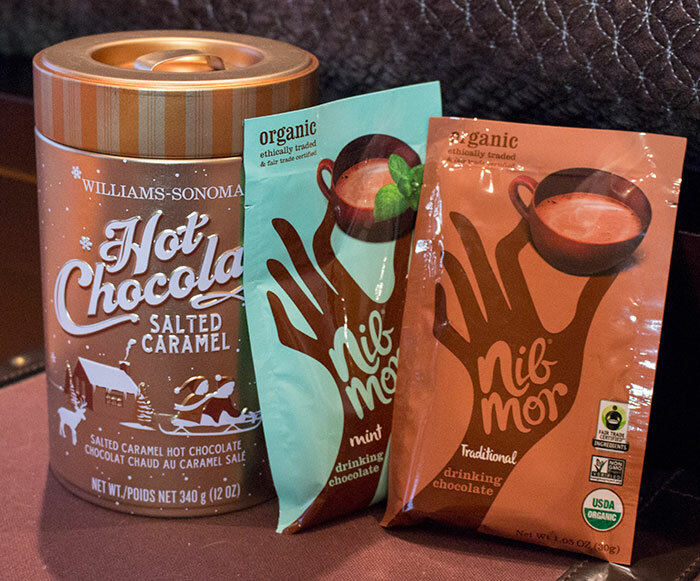 When I want something truly rich and decadent I love whipping up the Williams-Sonoma Hot Chocolate, available in four flavors. Both varieties are scrumptious, especially when made with milk an topped with whipped cream. It’s giveaway time! I wanted to share one of my all-time beauty favorites with two of you. 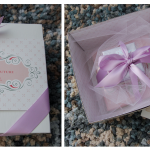 The November 2015 Favorites Giveaway will run until Thursday, December 10, 2015 at 6 PM CT. The giveaway is open internationally. All entrants under the age of 18 must have parental permission to enter. TWO winners will receive an Urban Decay Naked 2 Palette. Just wanted to say your videos and your blog are very professional – well done! 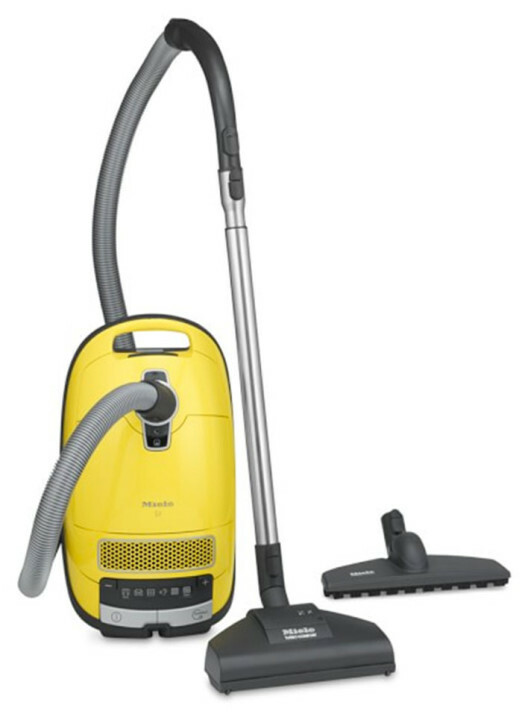 I’ve had a Miele broomstick vacuum for years and years – and it’s still going strong. My only concern is that the filter bags are getting harder and harder to find. It is a quality product and I would recommend the brand to anyone. I follow you on youtube, but there is not a box to list my username (angelasnoozy) which is different than the username I am entering under. Please include a box for future giveaways so we are sure to get credit if the usernames are different. Thank you so much for your generous giveaway!!!! I just watched your video and I just can’t stop grinning! You are so sweet and the end had me cracking up 🙂 Thanks for all your work! I have been craving hot chocolate. Definitely going to try some new brands this Holiday season! I’ve recently started following your pregnancy vlogs & I absolutely love them! My husband and I are hoping to become pregnant soon (God willing) and your videos bring me such joy in the hopes of what’s to come. Thank you Jen! God bless! So, I know you mentioned a few maternity apparel items that you’re loving, but have you checked out the new Gilligan and O’Malley pajama line at Target? Talk about super soft and comfortable! I went up a size to a large because of my ever-growing waistline (I’m currently 37w2d) but I probably didn’t need to, they seem to run a bit larger. Anyway, the hot chocolate sounds amazing right now, as well. I currently don’t have any on hand, but I have a feeling my next grocery trip is going to end with some hot chocolate & some whipped cream. i’VE HAD TWO Meile vacuum cleaners over the last 15 years….I gave the first one to my daughter last year, just as an excuse to buy the newest model of Meile ! Really enjoy your videos. It is adorable to see “mommy brain” functioning once in a while with the “what did I just say?”moments. I remember those days when I was pregnant with my little girl. Thank you for using the correct term for where you are carrying your precious bundle. It is a pet peeve of mine when women say their baby is in their tummy. You get huge bonus points and my subscription to you on YouTube for knowing you have a uterus, not a stomach, for gestational purposes. I also subscribe because the quality and content of your videos are appreciated. Thank you for sharing great ideas and experiences. I love the new Winnie photo’s. Also-my new favorite product is the matte lip mousse by Julep. Unbelievable stay, not glossy (which I like for winter).I think The color bisou would be perfect for anyone! It’s funny that you should mention the Holiday Baking Championships Program. I just discovered myself and haven’t been able to tear by myself away. Every time I get a chance, I watch it. I am amazed at what they come with! I’m a big tea drinker like you, Jen, but this time of year I always make a temporary switch to hot chocolate! There’s nothing like watching YouTube videos in front of the fireplace with a cup of hot chocolate (don’t forget the marshmallows!) and warm cookies. Great post! Thank you so much for the giveaway Jen! I hope that you enjoy reading it and please let me know what you think! Hi love your favorite video I will have to check out the cardigans as I recently have gotten back into them. I really enjoyed your vlog . One thing that crossed my mind is I remeber you mentioned you collect children’s books there is a series I saw at target and I’m not a sure if it came out this year or last. But it’s called Santa comes to mn and the author does ones for other states as well i know il is one but is fun as it shares towns in your state and is just quit I just bought it to read well the mn one but never to old for christmas books. Have you watched the holiday light contest on abc it’s fun to see what ppl come up with. Do you have any suggestions for gifts for the choclate lover as I’m sadly allergic to choclate so not sure what would be the most tasty for the more high class choclates. Srry little late to the blog but have been busy with finals. Happy holidays and ignore the haters people will hate just to hate no matter what you do. Thank you I’ll look into them .